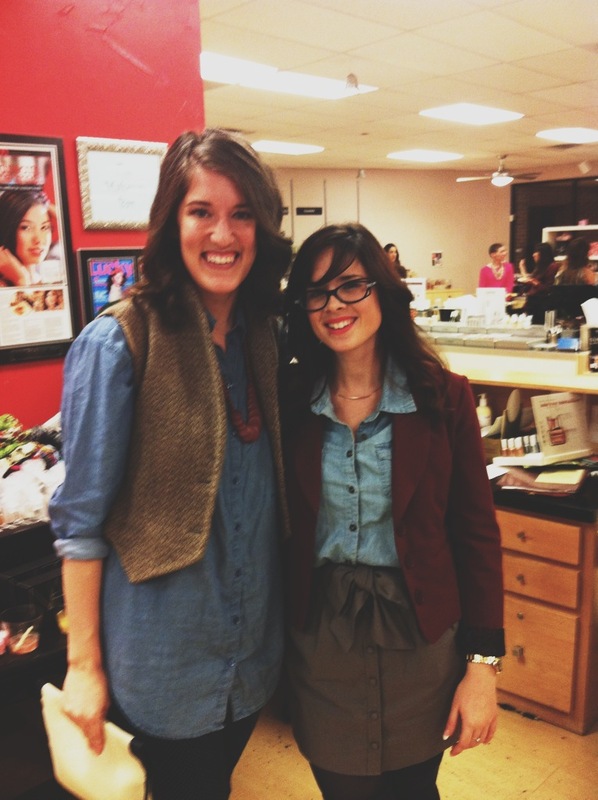 Last night I went to an Engage OKC Girls Night Out at The Makeup Bar. It was SO fun. I attended the event with my real life friend and blogging friend, Ashley (who blogs here). As a non-bedazzled, non-fashionista girl, I wasn't sure what to expect in a room filled with well-styled women and shelves full of things like 354 shades of eye shadow and a bajillion candles. But I was pleasantly surprised! 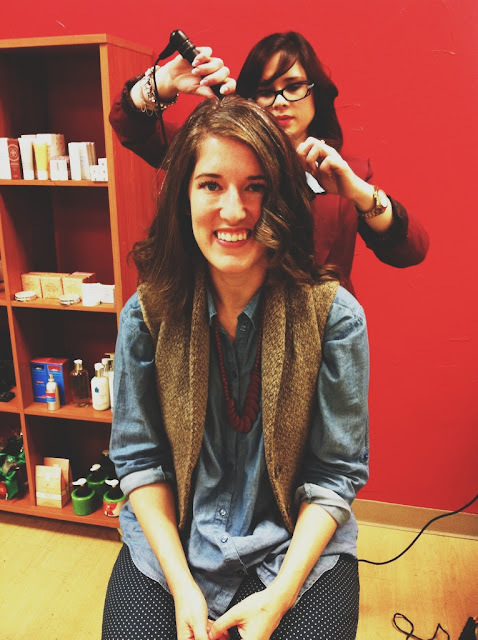 The Makeup Bar supplied us with a glitter makeover, hair styling, and/or an organic microdermabrasion treatment. And on top of that, we got to mix and mingle with fellow OKC bloggers while filling our bellies with food and drinks from Deep Fork. After eating way too many of those chicken things wrapped in bacon (can everything just be wrapped in bacon, please? ), Ashley and I decided to visit the hair lady. We became fast friends with this "hair lady" (aka Brittany). I told her all my hair stories and complained about all my hair issues. She answered questions, demonstrated different ways to use a curling iron, and even made my mess of a bun into some normal looking hair. She was so great. 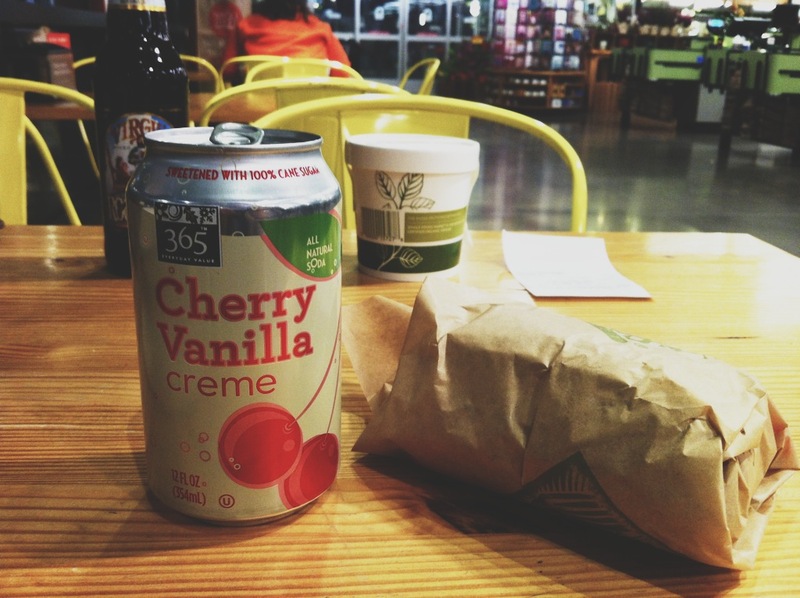 After we left, Ashley and I decided to go to Whole Foods to have a we-didn't-really-eat-a-real-dinner-so-we-should-probably-eat-something-else bite to eat. Overall, it was such a lovely evening out. 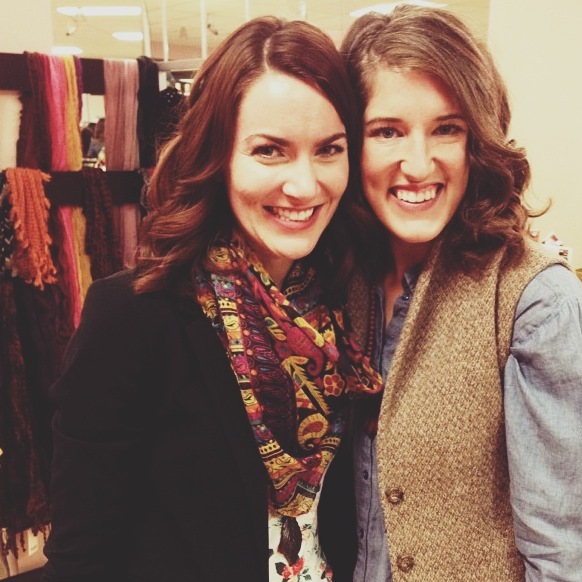 Thanks Engage OKC, Deep Fork, and The Makeup Bar for making it happen! Hahah - I was like "when did she take that Whole Foods picture?" When I went to get a spoon - sneaky! It was SO GREAT hanging out with you last night! 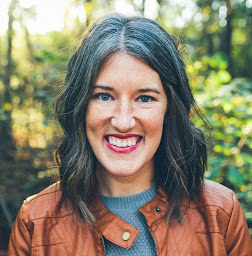 I am SO GLAD to have someone in my life who "gets it" about why I love blogging so much. P.S. Did Colt like your hair?! Ohh yes, I'm so sneaky. :) I absolutely loved getting to be with you. So much fun. And yes, he liked it! How about Eric?? Haha he didn't notice :) In his defense, I do curl my hair sometimes so it wasn't like I dyed it black or something like that!